Given the nature of the process used to make Shag Mats, the heavy-duty, high-texture, indoor/outdoor floormats, stripes are the only producible pattern. Never daunted by a manufacturing limitation, Chilewich introduced an ombre mat (shown at left) that moves from light to dark. 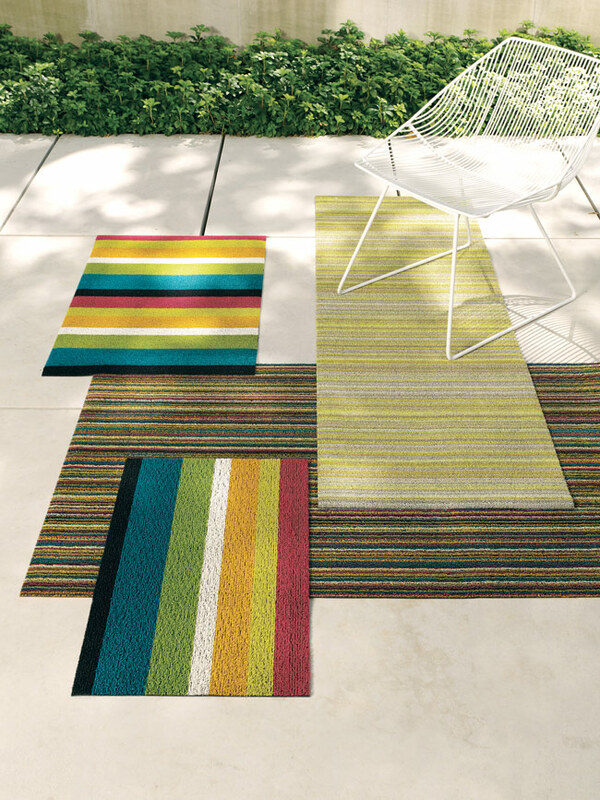 Shag Indoor/Outdoor Mats are tufted from durable vinyl yarns for a textured “looped” look. These all-vinyl mats are ideal for bathrooms, outdoor terraces and entryways. All Chilewich shag mats, including modern doormats and contemporary mats, are good in all weather and quick to dry. Mold and mildew resistant. Made in USA.